Fly’s Zone Pro goggles match its current 2019 gear lineup. If you don’t know by now, Fly Racing has an extravagant line of products for the ATV, dirt bike, BMX, mountain bike, street bike, snow and even water sports communities. 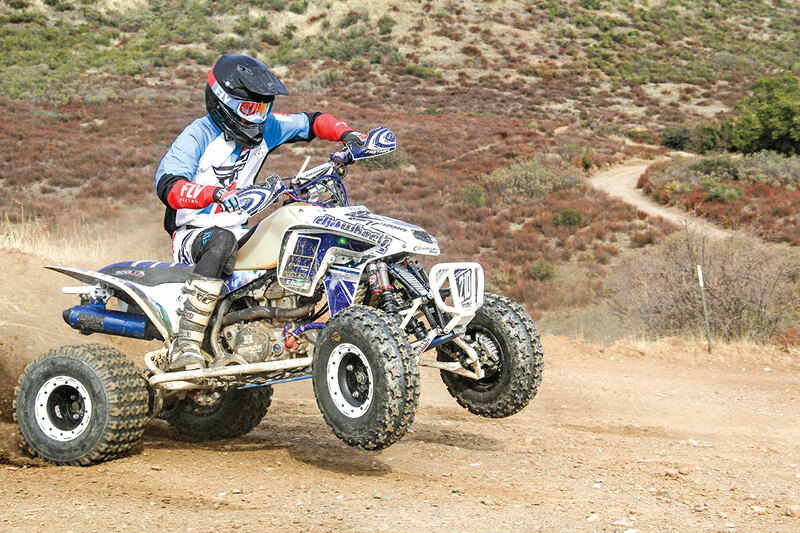 ATV riders can purchase body protection, helmets, full gear sets, gear bags, hydration packs and more from Fly, and its 2019 lineup hit shelves already. We picked up Fly Racing’s 2019 Zone Pro goggles to test. They have a reasonable price of $59.95 and come in multiple colorways. The Zone Pro is Fly’s premier off-road line of goggles. The frame is constructed of flexible polyurethane material that helps the multi-layer, moisture-wicking foam contour to your facial structure for a secure seal. The goggles have a non-slip silicone strip on the inside of the adjustable strap that helps keep it in place on your helmet. The strap is connected to the goggles’ frame through outriggers. The outriggers have movement that lets the frame settle onto your face. They also let the strap of the goggles lay more naturally on the helmet outside of the goggles’ opening. Fly produces multiple lens options for the Zone Pro. In the kit, you get a spare clear lens, but the goggle comes with a tinted lens that has anti-scratch and anti-fog coatings. The lenses come with tear-off posts pre-installed. Replacement lenses range from $7.50 to $16.95 each. Tear-off packs go for $12.95 each. You can also purchase a roll-off setup for the Zone Pro for $39.95. Finally, the goggles come with a removable nose guard and a microfiber bag to carry the goggles in. There are six colorways available that match current Fly Racing gear sets. The frame is flexible and helps provide a comfortable fit with the multiple-layer face foam and outrigger system. There was no doubt that Fly’s Zone Pro would have a comfortable fit. The face foam is soft, and it does soak up moisture quite well; add in the flexible frame and you have a secure fit. A few of our testers noticed that dust can still get through the face-foam seal, but we have yet to find goggles that repel all dust. The Zone Pro fit into every helmet we tried, give or take the removable nose guard. We enjoyed the wide field of view the goggles allowed. All in all, we have little complaint about the Zone Pro and a lot of admiration for the fit and comfort. We suggest you hit your dealer or go to www.flyracing.com or call (208) 319-3079 to pick yourself up a kit. If you are a rider on a budget, Fly offers cheaper goggle options as well!